Saginaw Bay Area ice is gone at the Pine River mouth and Palmer Road. 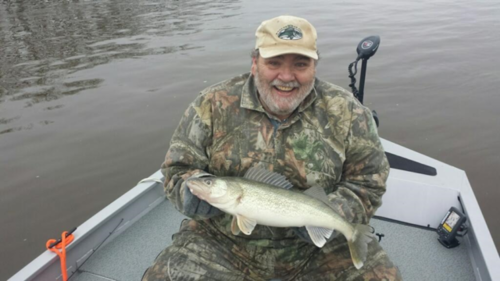 One or two anglers have tried shore fishing in the Pine River for perch but had little to show for it. Linwood Beach Marina is open and launching boats but you have to go in and pay first. 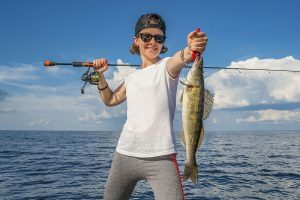 The launch at the mouth of the Saginaw River is open and those trolling or jigging for walleye out on the bay did pretty good at various locations such as north of Spoils Island and the Spark Plug when using crank baits, Hot-n-Tots, Husky Jerks and Bombers. Boats out on the bay will have to navigate through floating ice fields. The area off Oakhurst was 2/3 floating ice and 1/3 open water. 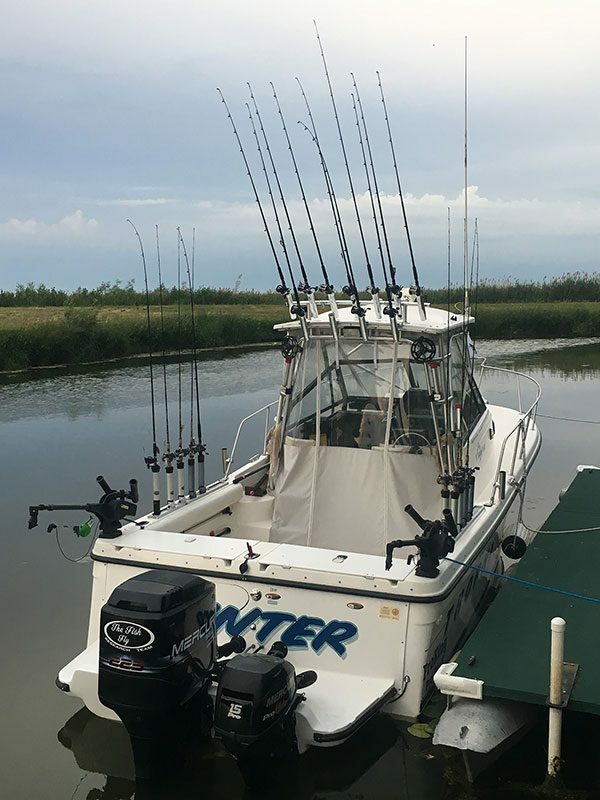 Boats up to 16 feet were launching from the end of Jones Road and walleye fishing off the mouth of the Hot Pond and south of Spoils Island had fair results. Those wading and fishing the mouth of the Hot Pond caught mostly carp and pike. Some are launching from the access site on the lower Quanicassee River and trolling out on the bay. A few were starting to fish the cuts for perch but had no luck as it is still a bit early. The Sebewaing River is high, fast and muddy. Boats could not get out of Sebewaing or Caseville because of the ice. 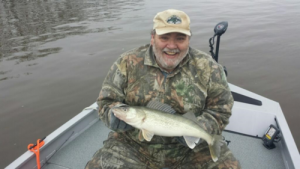 Au Gres Area did not have much in the way of fishing yet. The docks are in at the launch ramp. A few boats were out trolling for walleye but had no luck. Au Gres River and down at the Singing Bridge, the river was high, fast and muddy so the steelhead anglers were not doing well. Those surfcasting did manage to take a couple steelhead when floating spawn bags near the mouth of Whitney Drain. Rifle River the sucker run had not started yet so no activity at Omer but given the weather, the run should be underway sometime within the next week. Water levels were predicted to rise above flood levels then fall below flood stage by Friday. Saginaw River walleye season on the river including the section from the mouth up to the Center Street Bridge closed on March 15 and will not re-open until April 30. The daily possession limit for yellow perch from the mouth up to the Center Street Bridge is 25 fish. 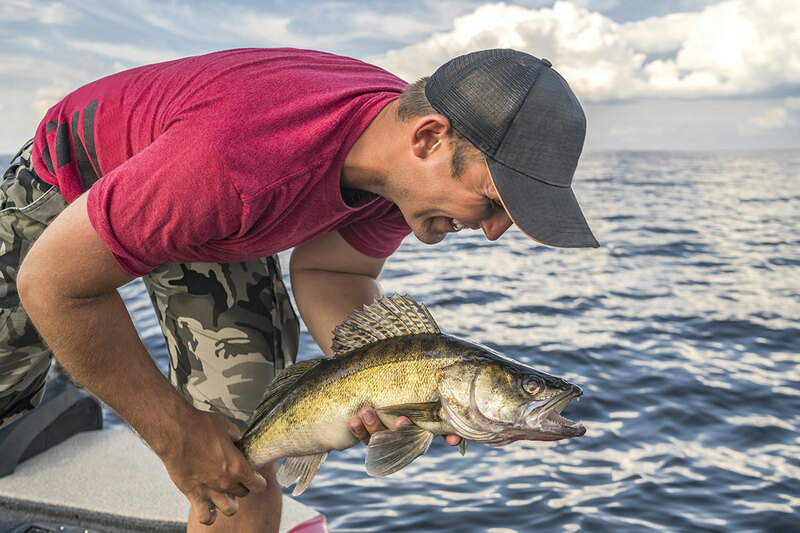 Be sure to check the Exceptions to General Regulations by County in the fishing guide for gear restrictions pertaining to the Saginaw River. Tittabawassee River walleye season on the river closed after March 15 and will not re-open until April 30. Be sure to check the Exceptions to General Regulations by County in the fishing guide for gear restrictions pertaining to the river. Oscoda: Au Sable River water levels are high which will bring more fish in but will also make fishing a bit more of a challenge. Steelhead were caught from the dam to the mouth. Most are using spawn bags. Lake trout were caught on spoons and minnows at the mouth. Tawas Area pier anglers fishing off the state dock were catching quite a few lake trout outside the wall. 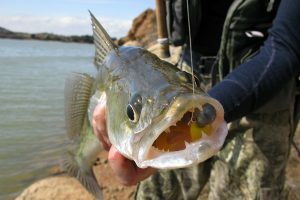 Those still-fishing with large shiners did best however those casting spoons and body baits also caught fish. Boat anglers trolling spoons and body baits in Tawas Bay were taking a good number of lake trout along with the occasional steelhead, brown trout or chinook salmon. The docks are in at the boat launch. Tawas River is running high, fast, and muddy. Not mush to report except for the occasional sucker caught. 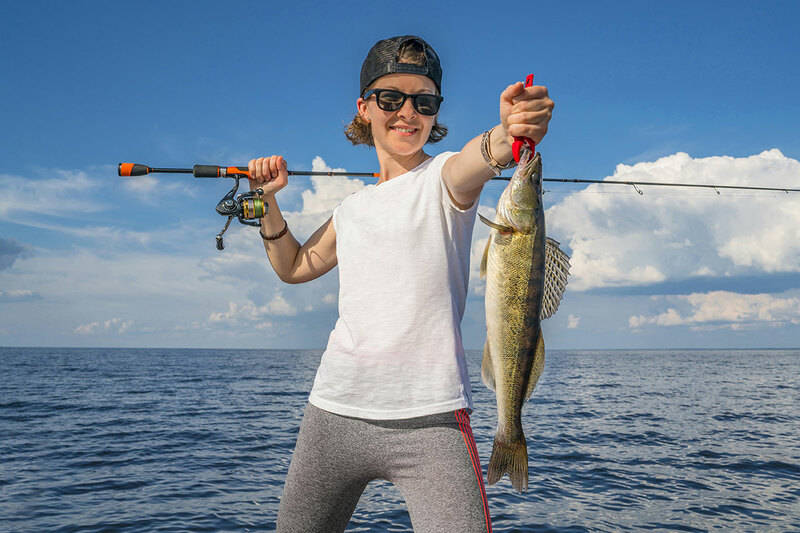 Michigan’s numerous piers and breakwalls offer great fishing opportunities throughout the year. Anglers often participate in this activity to target a variety of species, with trout and salmon being two of the most popular. 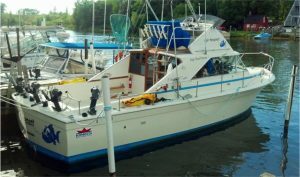 If you decide to partake in this type of fishing you’ll need a high-quality rod and reel. Technique-wise you’ll want to vary the depth and speed of your retrieves and consider fan-casting as opposed to casting perpendicular to the pier/breakwall. There are lots of bait options to consider, including spawn bags with steelhead, trout or salmon eggs; live alewives; or night crawlers. You’ll also want a long-handled net close at hand to aid in landing your catch! As always, take plenty of safety precautions when fishing piers and breakwalls.